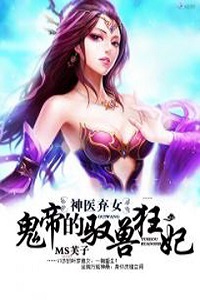 You’re reading novel Chaotic Sword God Chapter 1171: Internal Strife Of The Changyang Clan (One) online at LightNovelFree.com. Please use the follow button to get notification about the latest chapter next time when you visit LightNovelFree.com. Use F11 button to read novel in full-screen(PC only). Drop by anytime you want to read free – fast – latest novel. It’s great if you could leave a comment, share your opinion about the new chapters, new novel with others on the internet. We’ll do our best to bring you the finest, latest novel everyday. Enjoy! The great elders all sat in order on the stone seats within the pavilion. Many of them faintly smiled with joy they could not hide. Only Jian Chen was in a very bad mood because he knew what they were going to talk about next would definitely be related to the Saints’ Fruit. “Basically all the experts on the continent know that we, the Changyang clan, have obtained the Saints’ Fruit. In order to prevent a few experts from attacking our clan, since the temptation is too great, we need to use the fruit as soon as possible. Otherwise, won’t our losses be severe if it was taken away by someone else?” Changyang Qing Yunfeng righteously spoke. “That’s right, and the appearance of the fruit this time has even lead to the collaboration of the path lord of carnal desires and the three Saint Emperors of the Beast G.o.d Continent. If the four of them attack our clan, regardless of the consequences they would face, in an attempt to obtain the fruit, we would end up in deep trouble,” said Changyang Yuan Wuji. He was grim. “But there’s seven of us and only one fruit. How should we split it?” Changyang Yuan Zhenghua asked while deep in thought as the light in his eyes flickered. “Who else can we give it to? Is there another Saint King at Great Perfection in our clan other than Qing Yun? In my opinion, the Saint’s Fruit should obviously go to Qing Yun. Only by giving it to him can we use the fruit to its greatest capacity,” Changyang Qing Yunfeng clearly stated. “Qing Yun has reached Great Perfection many years ago, and he only lacks a final step before he can reach Saint Emperor. Using the fruit on him is a waste,” Changyang Yuan Zhenghua nonchalantly replied. “Do you have an even better idea?” Changyang Qing Yunfeng asked with a sunken face. “You say that easily. If reaching Saint Emperor really was that easy, the ten protector clans would not have run out of Saint Emperors. Zhenghua, I feel like you just want the fruit for yourself,” Changyang Qing Jueri coldly said as he rebuked Changyang Yuan Zhenghua. The great elders argued intensely such that they all became flushed. All that was missing was for them to fight. None of them noticed Jian Chen’s pale-white face. “Correct, Xiangtian’s contributions in obtaining the fruit were crucial. That’s an irrefutable truth. However, if we hadn’t intervened in the end, how would he have broken free from the encirclement? And with Xiangtian’s unprecedented talent, having attained such accomplishments in less than a hundred years, his future is unlimited. If he uses a heavenly resource to become a Saint Emperor with his talent, it’s not necessarily a good matter either. It’s extremely possible that Xiangtian won’t be able to advance any further after becoming a Saint Emperor through these means,” said Changyang Qing Jueri. “Out of all of us, the person who has the most authority in distributing the fruit is Xiangtian. Xiangtian, why don’t you say what you plan on doing?” Changyang Zu Xiao suggested. He too drooled over the Saints’ Fruit inside. After all, it was something that could give birth to Saint Emperors. “No, we can’t leave the Saints’ Fruit hanging around. We need to deal with it as soon as possible. I worry about intruders,” a great elder firmly responded. “Is it the three magical beasts? No, the Saints’ Fruit is sacred to the humans. It cannot be consumed by magical beasts,” Changyang Qing Yun reacted violently. He suddenly stood up and glared at Jian Chen. “No, it’s not them, but the grand elder of Mercenary City, senior Tian Jian. I’ve specifically fought for the fruit for senior Tian Jian,” Jian Chen replied. He no longer had any room for regret now. The garden fell silent. Everyone had become stunned by what Jian Chen had said. No one had ever thought that Jian Chen would actually leave the fruit to the grand elder of Mercenary City. “When I fought against the countless vengeful spirits, what did you do? What else did you do when Rui Jin, Hong Lian, Hei Yu, and I fought through the encirclement of so many people? I’ve exchanged the fruit through bloodshed and risking my life, so it would belong to me. Who I decide to give the fruit to has nothing to do with you.” Jian Chen also became very straightforward and forceful. He would definitely not hand over the Saints’ Fruit. The faces of the great elders all darkened very much. Even Changyang Zu Xiao and Changyang Zu Yunxiao slightly frowned. They could accept it if the Saints’ Fruit was used by any member of the clan, but if Jian Chen actually gave it to an outsider, that would be going too far. Changyang Zu Yunxiao hesitated before nodding, “Xiangtian, you are a member of the Zu branch, and you are our branch’s pride. No matter what happens, we will always stand by your side as long as you don’t break the morals and harm the clansmen.” With that, Changyang Zu Yunxiao began casting a secret technique, wanting to open the World Gate for Jian Chen to leave. “I will not be leaving behind the Saints’ Fruit,” Jian Chen’s voice became icy as well. Fury began to burn inside of him. “Since you’re not going to hand over the fruit, I’ll come and get it myself.” A sharp gleam of light flashed through Changyang Qing Yun’s eyes, and he arrived in front of Jian Chen in a flash. He grabbed at the s.p.a.ce Ring on Jian Chen’s finger, wanting to take it. Jian Chen had been prepared long ago. The moment Changyang Qing Yun moved, the Emperor Armament appeared in his right hand. Devastating Chaotic Force surged from the weapon as he swung it toward Changyang Qing Yun’s hand with lightning-like speed. The strike was swift, precise, and vicious. It possessed all the power that Jian Chen had been secretly charging up. Changyang Qing Yun was surprised inside. He did not expect Jian Chen to react so quickly, but he was an experienced fighter himself as well. Tremendous amounts of Saint Force immediately gushed from his hand, and he s.h.i.+fted his movement, striking the face of the sword. Bang! With a m.u.f.fled sound, the Emperor Armament gently resonated. Jian Chen’s attack had been nullified by Changyang Qing Yun. However, Jian Chen’s attacks did not just stop there. With a twist of his wrist, the Emperor Armament danced like a fan to redirect the remaining force before turning into a dark streak of light. It stabbed toward Changyang Qing Yun with unbelievable speed. Changyang Qing Yun remained calm. Extending a finger, a vast amount of World Force shot out, colliding with the tip off the sword. With a boom, the pavilion in the garden was split into pieces. Violent ripples of energy shot out in all directions, turning the lovely garden into a mess. Jian Chen uncontrollably took three steps back, leaving behind three deep footprints. Changyang Qing Yun remained where he was, standing as firmly as a mountain. Jian Chen tightly gripped the Emperor Armament in his right hand. His presence became greater and greater. Although the disparity between their strength was very great, he was not scared. “Leave behind the Saints’ Fruit and I’ll let you leave,” Changyang Qing Yun coldly commanded. He needed to obtain the Saints’ Fruit. At this moment, many people flew over from afar. The commotion was just far to great, having alarmed them. 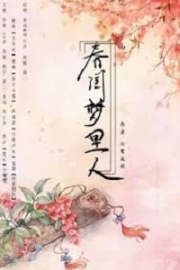 You're reading novel Chaotic Sword God Chapter 1171: Internal Strife Of The Changyang Clan (One) online at LightNovelFree.com. You can use the follow function to bookmark your favorite novel ( Only for registered users ). If you find any errors ( broken links, can't load photos, etc.. ), Please let us know so we can fix it as soon as possible. And when you start a conversation or debate about a certain topic with other people, please do not offend them just because you don't like their opinions. You're reading Chaotic Sword God Chapter 1171: Internal Strife Of The Changyang Clan (One). This novel has been translated by Updating. Author: Xin Xing Xiao Yao already has 5246 views. Current Time is Apr-24-2019 08:00:27 AM.